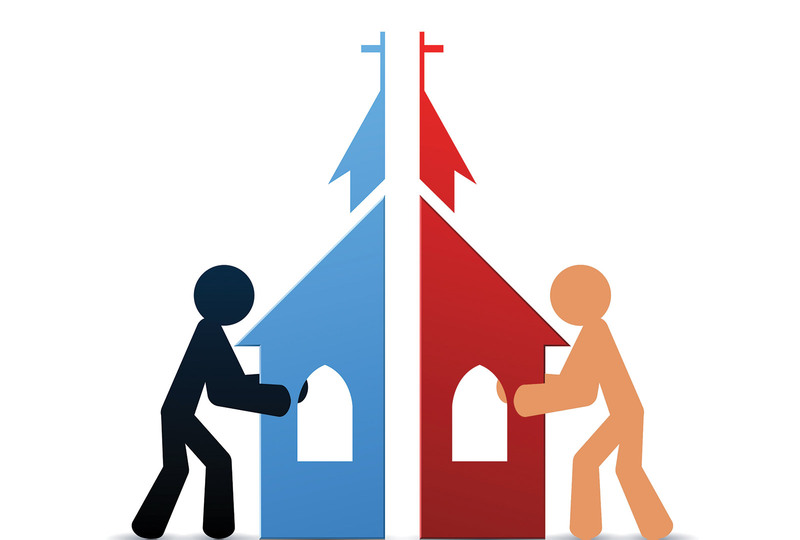 Collaboration Without Compromise- How Far Can Christians Go? was recently invited to serve on the World Day of Prayer and Action for Children (WDPAC) advisory council. Celebrated on Universal Children’s Day (Nov. 20), this event connects people and organizations to protect boys and girls. Helping needy children of the world is a good work, such as Christians are strongly exhorted to do (2 Cor. 9:8; Col. 1:10; 2 Tim. 2:21; 3:17). However, working with varied religious and nonreligious organizations raises significant issues. How (and how not) are we to serve with others in interfaith work or in secular organizations? What are the theological and practical concerns? How can Christians balance meeting needs without either compromising or being offensive? How can one be a Christian witness in such a situation? and well-being of all. Moses’ father-in-law, Jethro, was a Midianite priest who advised him in political and practical matters (Ex. 18:1-27). Yet ancient Israel was repeatedly warned against inappropriate alliances with other nations (Josh. 23:12-13; Isa. 30:1-5). Even within Israel, the reign of Jehoshaphat, a righteous Judean ruler, was marred by disastrous alliances with an evil Samaritan despot, Ahab (2 Chron. 18:1-3; 20:35-37). Additionally, the apostle Paul sternly prohibited believers being “unequally yoked” with unbelievers (2 Cor. 6:14). Clearly, entering into ill-advised alliances or inappropriate partnerships is cause for concern among God’s people. However, the Lord himself commanded Israel to cooperate with the Babylonian government of Nebuchadnezzar (Jer. 27:1-22) and described the Persian monarch Cyrus as “the Lord’s chosen ally” (Isa. 48:14-15 NIV). Paul admitted that it is impossible to avoid societal associations as long as we are in this world (1 Cor. 5:9-10). Indeed, he built his missionary strategy on relating well to others in different cultural contexts (9:19-23), but believers must not be drawn into wrongdoing (Eph. 5:11). Christians in working relationships with others should assiduously avoid moral and spiritual compromise or co-option by an adverse agenda. Paul’s “unequally yoked” instructions arise out of the Torah prohibition against yoking an ox and a donkey together when plowing (Deut. 22:10). Implied is that God’s people establish and protect a distinctive moral and spiritual identity. In this sense, Christ’s followers are called to be “special” people (Ex. 19:5; Titus 2:14; 1 Peter 2:9 NKJV). Yet our Lord himself was criticized for closely associating with “tax collectors and sinners” (Matt. 9:11; 11:19; Mark 2:16; Luke 5:30; 15:1-2 NKJV). If we explore the symbolism a bit more, we see that Moses’ prohibition against mismatches does not preclude oxen and donkeys plowing on the same farm or in the same field so long as they are not yoked together! Practically speaking, cooperative association should not be an insurmountable problem. effective witness builds on relationships of mutual respect. At a WDPAC planning meeting in New York City, I was treated hospitably by everyone. One of the most pleasant experiences for me was eating together. The food was good and conversation was friendly. One day I was seated with a Hindu I’ve known for several years, two secularists who were new to me, and a young Brazilian man I’d not met before either but who joked that his “religion” was soccer. I could not resist teasing Stephen about his soccer. He took it well, and asked me about Pentecostals and speaking in tongues. For more than half an hour we carried on a spontaneous and provocative conversation about my faith. Later, some asked me to speak more on this matter. I am thankful for that opportunity to share. In all likelihood, it would have never happened elsewhere. There’s no reason Christians cannot work together with secular organizations and other religions in common cause, so long as we are not expected to compromise our core beliefs and values or pressured to co-opt our essential mission. One of the earliest acts the Church of God undertook as an organized movement was to make provision for suffering children. It established what is now known as the Smoky Mountain Children’s Home in 1919. This outreach to children has continued to be a central element in our efforts to live out our faith in the gospel of Christ. As the Church of God has grown, we have expanded this care. Reaching out to suffering children is one of the best things we do as a church. Improving the welfare of children is an urgent global challenge. By working with the world’s diverse faith communities, social agencies, and governments, we can accelerate and magnify efforts to help children worldwide on issues including poverty, children’s rights, child protection, education, and discrimination. Today is a complicated time. Demands are intense. Resources are scarce. Helping children is a gargantuan task requiring global cooperation. The WDPAC is one such important initiative. For the sake of suffering children, I can cooperate with those with whom I have deep and enduring differences. When we serve with non-Christian groups for a common cause, let us be . . .
• circumspect—wisely “make the most of every opportunity” (Col. 4:5 NIV).